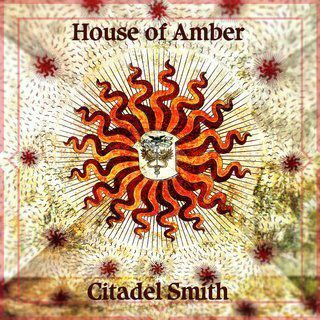 House of Amber is a band created by three producers, brothers Nathan and Tyson Gee and David White. All three attended the same school in the town of Rotherham in South Yorkshire. From the mid 1990s they started their first band together called Krud and cut their teeth on the local music scene. David left to work on the road as a technician and has worked with acts such as Noel Gallagher, Biffy Clyro and Jeff Lynne’s ELO. After the dissolution of Leon, Nathan and Tyson reconnected with David who had begun songwriting newer more mature material than their Krud days and Nathan and Tyson’s vocal styles simply slotted into place. Since then the studio project which eventually became House of Amber has grown from strength to strength and has gained many fans worldwide. In 2012 the debut album Under Pale Stars (as all subsequent releases) was self recorded and released. In 2014 Nathan and Tyson also started a side project called Icarus’s Sons which some material was later used for House of Amber. 2016 saw the single Ride published by US label Moozikoo. In early 2017 the Citadel Smith EP was released by the band with the new track Citadel Smith penned by Tyson and an older track Revo as the B- Side. In 2017 the band also released the single Ghosts on Chairs and re-mixed and remastered the debut album Under Pale Stars with extra track Mars included.